In Burlington County there exist over forty municipalities. This means there is a wide variety of lifestyle and housing options for you to choose from. You can search for the type of home you want by simply browsing through the Burlington County real estate listings. The database we have includes all of the MLS listings for Burlington County homes for sale and properties throughout South Jersey. When you first start your search for a good home or property. You may consider what your best options may be. You probably want a good deal on a home since you are going to be investing a lot of your money into the home you're purchasing. Whether you're a first time home buyer or a veteran in the real estate market. It's always good to keep your options open, which is why you may want to take advantage of purchasing a bank owned property or a home or property that has been foreclosed by the bank. There are many advantages into purchasing these real estate owned properties (better known as REOs). For one, you deal directly with the bank. When you're searching for a new home or property you can sometimes run into problems with home owners. Former owners or troubled home owners can hinder you from buying the home or property you want with legal action. Even if the both of you have reached an agreement on the home. There may also be the problem of former tenants who refuse to leave. So when you deal directly with the bank you can do it with peace of mind. The bank has no emotional attachment to the property and are usually eager to get rid of it. In most cases banks will also wave outstanding real estate property taxes too. When homeowners stop paying property taxes sometimes it falls to the new owner of the home to pay it off. Be on the safe side of this though by doing a title search first for the property. If that wasn't enough, you can also have the option of getting the home inspected before you make your purchase. This way you can avoid purchasing a home that is to distressed to repair. The majority of REOs are not move in ready. Some of them require serious work to be done, but the work put into them sometimes can cost more than the home. One of the biggest reasons you should also looking into purchasing REOs is due to the discounted prices. These properties are below the marketplace prices. However, that doesn't always mean you're getting a good deal. When you find an REOs you like be sure to check out the prices of the other homes in the area to gauge the price of the home first. So, now that you know the benefits of REOs. 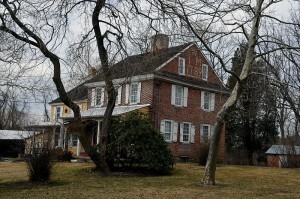 How about we take a look at some of the homes available in Burlington County, NJ? Here is an excellent deal on a single family home! Built in 1955, the Mount Holly property is just perfect for a family. It has four beds, two full baths, the home size is 1,785 sqft, and the lot itself is 7,000 sqft. We call this property the handy man special since it has so much potential. It has gorgeous hardwood floors right through the first floor. There is an updated first floor bathroom and kitchen that has an open concept family room. The family room features a brick wood burning fireplace too. The property is in a fix-up condition and is being conveyed as is. Buyer is responsible for all certifications and inspections required by the lender/township. This residential townhouse was built in 2006. It has two beds, two full baths, and 1,080 sqft. The property is adorable and has been updated. The living room is large with an open kitchen that has just been painted and a fresh carpet that has been installed. The main floor also features a full bathroom with an entry into a one car garage. When you walk upstairs there are two generous sized bedrooms with plenty of light and another full bathroom. Don't miss out on this property! This wonderful residential flat was originally built in 1988. It has two beds, two full baths, and 1,434 sqft for the home size. This is a great opportunity for a nice home with its two spacious bedrooms and the loft. The loft can also be used as an additional bedroom, play area, or an office. The kitchen was also upgraded with additional counter space and plenty of cabinets. The living room features a beautiful fireplace and a balcony that overlooks the grounds. The master bedroom also features a walk in closet and a bathroom. It's located conveniently near entertainment, major highways, and shopping. These properties are excellent deals. These are only a handful of the beautiful properties we have listed. Feel free to browse our listings to find the property or home just right for you! If you have any questions or concerns please feel free to contact us at anytime. We will be more than happy to help you anyway we can.